If you are someone who is new to Kratom and looking forward to the tips to consume Kratom safely? Then this article is tailor-made for you. Let’s begin with the basics involved in the consumption of Kratom. When it comes to Kratom, the extract is different from the regular ones and one must know it fully to begin the consumption safely. The potency level of the extract is greater than the normal Kratom. So what are the stuff one should know about the extract? The process involved in the production of Extract? The process used by Kay Botanicals to produce the extract? Where does the Kratom come from? There are several ways in which the Kratom can be extracted and you can experience every part of it. The first and the main process involved in the production of Kratom begins by picking up the fine leaves and drying it up. When the product gets dried, that is when the real flavor of the Kratom comes from. They are eventually separated after treating them with the heat. A combination of ethanol and left is boiled in a large pot. The heat that is produced due to the boiling process extracts the properties of Kratom. The leaves are then removed from that and it is kept aside. The boiling process is continued until the mixture turns into a dry powder form. In the end, the mixture is pressed and dried. The resultant product of this process produces something that is just out of the world. It is found that the extract that is obtained as the result of the above-mentioned process is 50 times more concentrated than the actual leaf. However, the extraction method is simple and it is no longer a mystery involved in it. Depending on the levels of the concentration, the potency level of the product is classified. It also defined the amount to be consumed by a beginner. How it is generally consumed? There is no perfect way or rule to consume the extract. Everything comes out of the experience and reviews from your fellow mates. 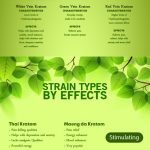 If you just want to know about the Kratom and its usage. You can just have a look at Facebook where there are tons of videos posted on a regular basis by the people who consume Kratom. How exactly the extract at Kay Botanicals is made? It is our pleasure to share the process involved in the production of Kratom and have a look at it in the following lines. We take some 50 kilograms of Kratom powder and load it up in a large pot. We ensure that we pick only good quality powder which is very high in nutrition and the alkaloid content should be fresh. Now its the time to mix 100 liters of ethanol in the pot and from here it is stirred for about three days continuously. In the meantime, the mixture is treated with the utmost care in a sophisticated environment. The process does not last for than a week for sure. We know that is a lot of mixing and the more we work on it, the potent the output of the process. After the completion of this process, the liquid is separated from the pot and we make one thing sure that is, we extract as much as liquid that is possible from the combination. After the extraction, they are dried. This is something that is even more interesting because the moment the thing gets dried up, you feel the outcome in a beautiful way. We adopt a method called scratching in which it prevents the output from getting crystallized. After completing the process, they are converted into crystals and there are several ways in which the crystallization is done. Generally, we prefer the Scratching method in which the product is converted from the powder form to a crystal form. The process is carried out with a lot of pain and we do not take it in a simple way for sure. We enjoy the pride involved in creating such a beautiful product in the end. Utmost care is given to this process because the process is done so carefully so that we be the best in providing the best experience for you. When all the process ends, we feel great about the potency levels of the product that is present in our product. Everything is done in a fresh manner so that nothing takes down the reputation that we have followed in this business. While we talk about the quality of the Kratom, you can just try our sample products which are definitely for the beginners. Once you try it and you will never leave it for sure. We are proud about the potency levels of the Kratom that is sold here at the Kay botanicals. We feel that you get valued by the tips that we have provided here. Do not forget to share your experience after trying our products.